Times have changed so much from our first delivery in 2009 before we became official and recognized as a 501(c)(3) in 2010. This was a year post Jamie's diagnosis of Benign Rolandic Epilepsy and the yet to be diagnosed condition of her sister, Danielle. We just found out that not only does Danielle have asthma and allergies but she also has congenital heart disease. The girls love their job as they called it. 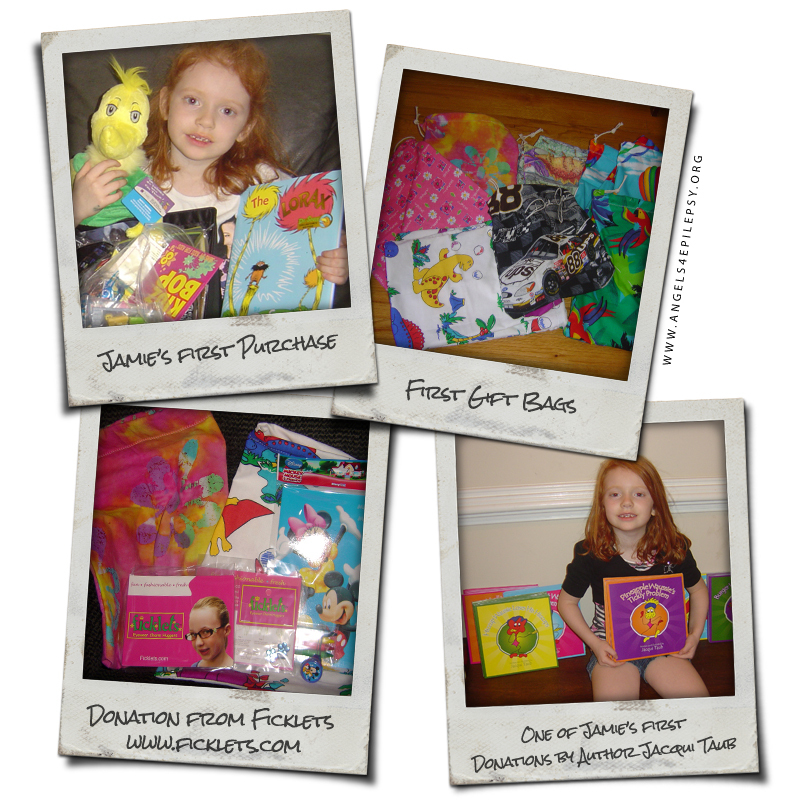 The pictures were from our very first donation to the Children's Hospital in Augusta, Georgie. A member from the local Freecycle group donated the material that I used to make the gift bags and we received a wonderful book donation from author Jacqui Taub as well as Ficklets from Ros and a huge supply of tooth brushes from Cynthia at Operation Sweet Dreams. Our first donations were made possible by all these kind people as well as Jamie's interest in using her money to purchase some of the first toys. Big thanks to Jacqui, Ros, Cynthia and the Freecycle member who donated the material.